The Metronome functions as a normal Metronome, you can specify the amount of beats and frequency(Beats per Minute). A metronome is often used for timing a piece or as an aid for practicing a song. By pressing the Metronome On/Off option you can start/stop the metronome. The Metronome will continue even when another tool is selected afterwards. You can temporarily disable the sound of the metronome by using the Sound On/Off tool. b) Beats, to define the number of beats per part, this can be set between 1-12. It starts playing directly after selecting the beat. 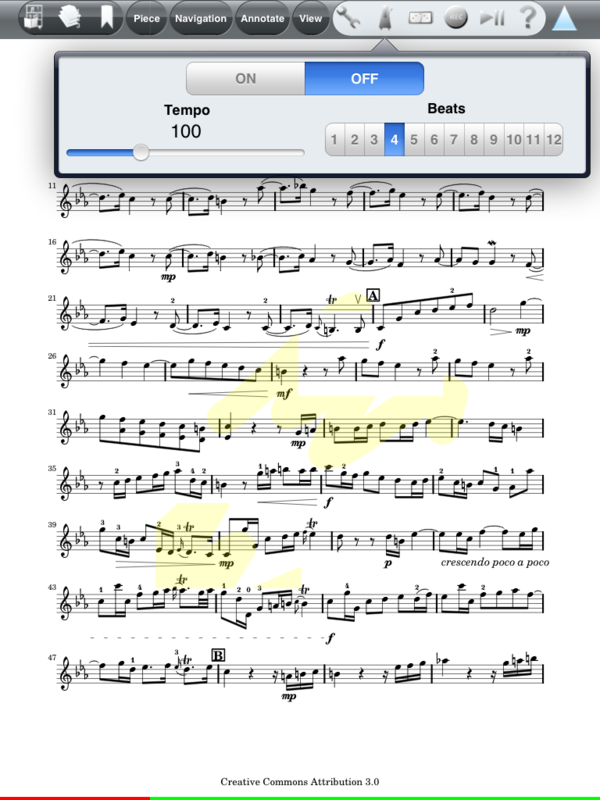 d) Tempo(Beats per Minute), here you can select the amount of beats per minute it plays. It can be set between 40 and 240 BPM. It starts playing directly after selecting the BPM. 3. The Metronome continues playing after deselecting the tool. Posted by: Nick Leoné - Sun, Feb 20, 2011 at 5:59 PM This article has been viewed 2803 times.